How to stream with TeraDek Cube. Go to Cube's configuration page in TeraCentral by clicking on Configure, then login into Cube`s web UI with the default login information (user:admin, password:admin), then go to Video Setup and click on Stream Setting. 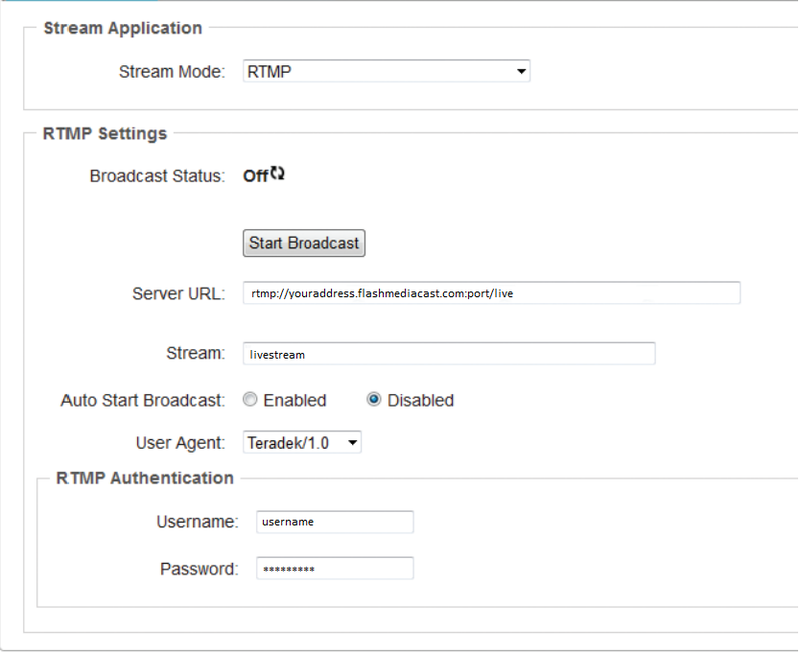 Select RTMP as the Stream Mode and enter your Primcast address, your stream name along with your primcast username and password for the RTMP authentication. After have finished inputting your information, click on "Apply".Now you can begin broadcasting by clicking "Start Broadcast".